New from fotoVUE books is 'Photographing East Anglia' by Justin Minns. Get an exclusive first look here, plus use discount code 'FOTOVUE' in their online shop for 25% off all fotoVUE titles until 1 June 2019! 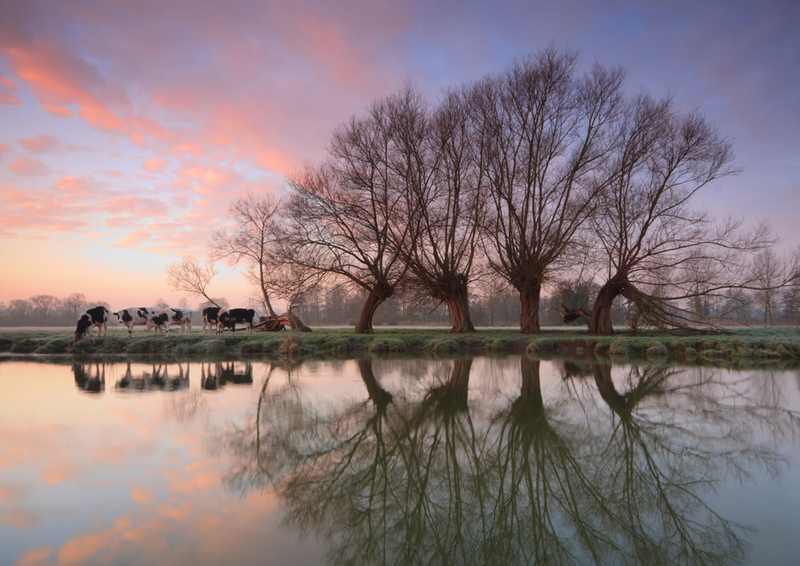 Cows by the River Stour near Flatford at sunrise. Canon 30D, 10-20mm at 13mm, ISO 100, 1.3s at f/11. LEE 0.6 hard ND grad, tripod. Dec.
As David Noton says in the foreword to Justin Minns’ new photo-location guidebook to East Anglia: "The predominantly flat landscapes of East Anglia are not easy to photograph." 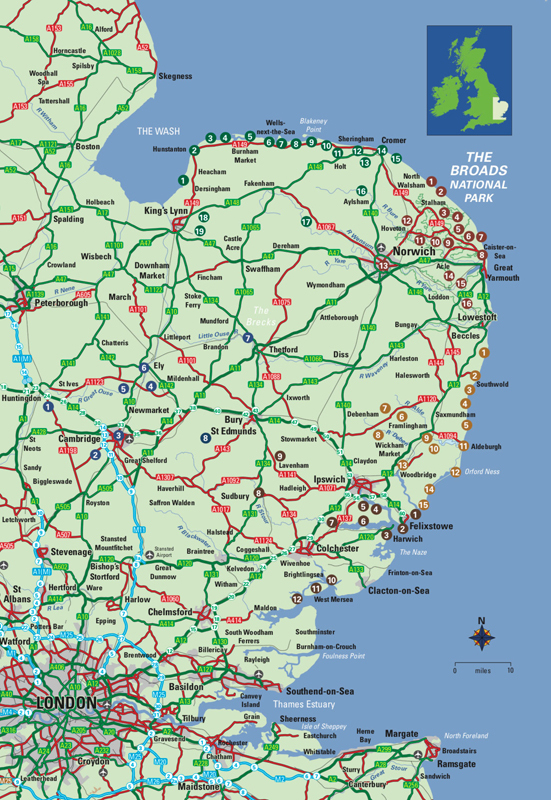 East Anglia, covering the counties of Norfolk, Suffolk, Cambridgeshire and parts of Essex, is not thought of as a hot photographic location, but perhaps that is about to change. View of the Blickling Hall from the trees beside the lake. Canon 5D IV, 24-105mm at 35mm, ISO 100, 1/5s at f/16. Tripod. Dec.
Over 528 pages of glorious photography and detailed, but engaging text, Justin Minns takes us on a photographic journey visiting windmills and wind-pumps that look over a timeless landscape of reedbeds and grazing marshes, and on the coast, he takes us to colourful beach huts and old harbours filled with boats. 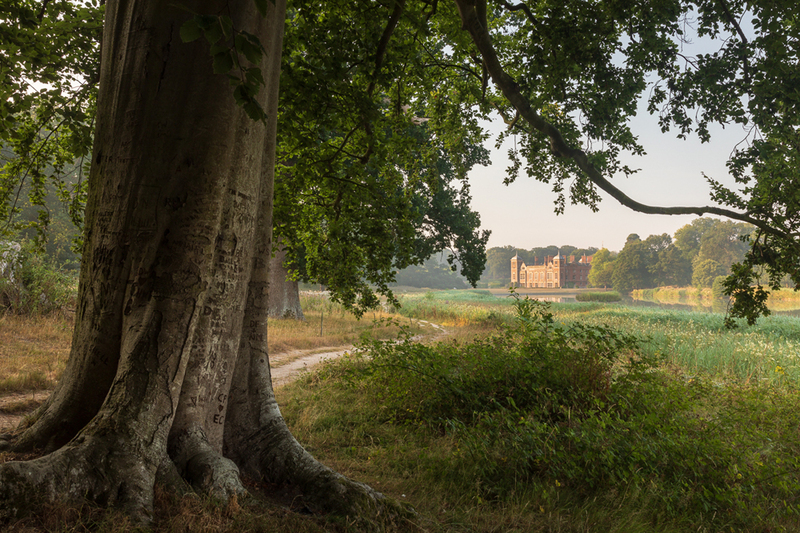 This is the eleventh photo-location guidebook published by fotoVUE, each one authored by a photographer local to the area it covers, and Justin Minns shares his knowledge liberally and intimately, documenting both classic locations and many off-the-beaten-track. You are spoilt for choice. 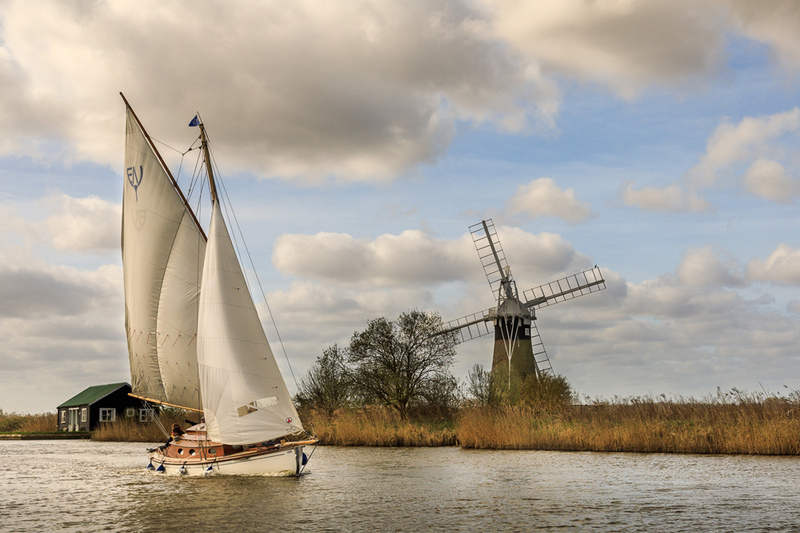 Yachts passing St Benet’s Level Drainage Mill on a spring morning (VP2). Canon 5D IV, 24-105mm at 50mm, ISO 400, 1/640s at f/8. Apr. Each location has its own chapter, with a descriptive introduction and viewpoint descriptions and stunning photographs illustrate what is possible. Written directions and location coordinates and postcodes, along with detailed OS maps make it easy to get to the parking spot. Justin’s book is a mixture of visual inspiration and practical advice and information - a joy to browse at home with your feet up, then essential to take with you when you head out giving you a head start when conditions are good. 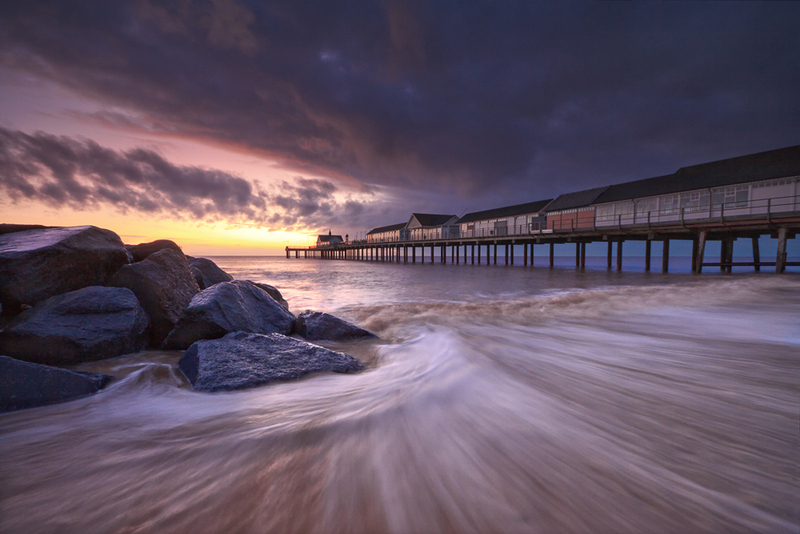 Southwold Pier at sunrise from the north (VP1). Canon 50D, 10-20mm at 10mm, ISO 200, 1s at f/8. LEE 0.9 hard ND grad, tripod. Jan.
ePHOTOzine Reader Offer - 25% discount! If you would like to purchase Photographing East Anglia by Justin Minns from the online shop at fotovue.com, use the discount code FOTOVUE for 25% off and free UK shipping, this applies to all fotoVUE titles until 1st June 2019.